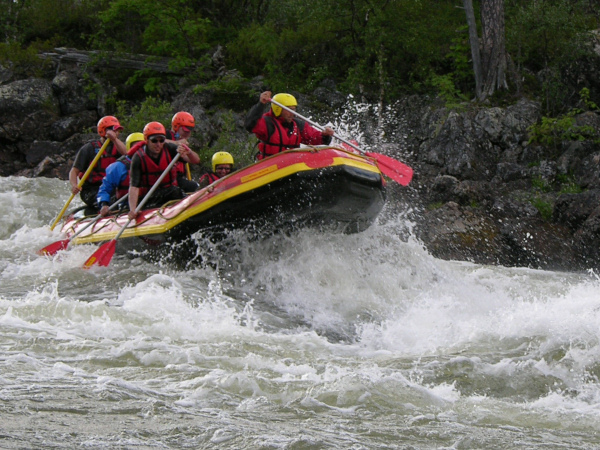 Shootthe fast-running rapids on Juutua in a rubber dinghy. The starting point is either at Saariselkä or in Solojärvi, Inari. You paddle down the river and experience the excitement of going down several white water parts. 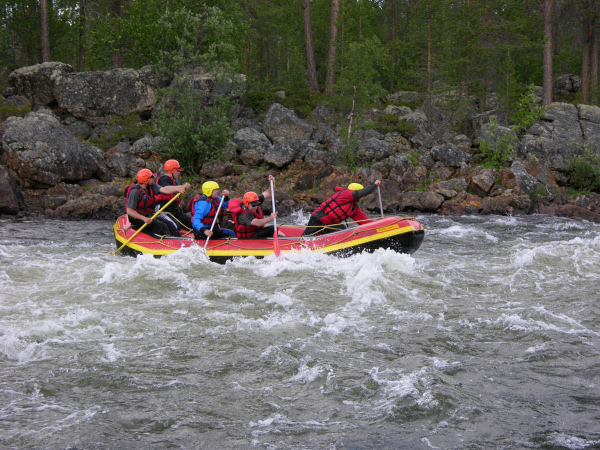 For additional payment you are able to continue rafting in demanding part of Jäniskoski rapids. Summer 2019. Updated 11/18. We reserve the right to make changes.